Pr. 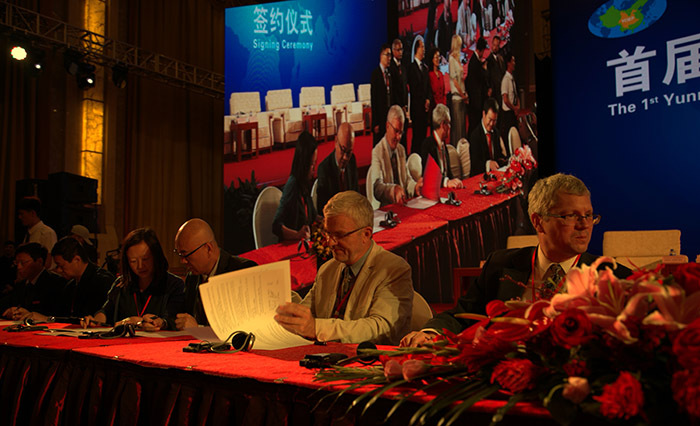 Patrick Giraudoux, coordinator of the GDRI Ecosystem Health and Environmental Disease Ecology and distinguished professor of the Yunnan University of Finance and Economics (YUFE), has been awarded a 200,000 RMB (27 k€) grant by the government of the Yunnan Province. This kind of grant supports “high-level international science and technology programmes”. The application was submitted by Pr. LI Li of the YUFE - Wildlife Management and Ecosystem Health lab (WMEH), in connexion with Pr. ZHANG Li of the Beijing Normal University, with whom a cooperative research programme is ongoing. It includes two main objectives: (1) to reinforce international cooperation between researchers about wildlife – human conflicts and the ecology of Asian and African elephants (involving the ILTER-Zones ateliers Hwange and Arc jurassien) (2) to develop a landscape approach for risk assessment in the wild elephant population area of south China. 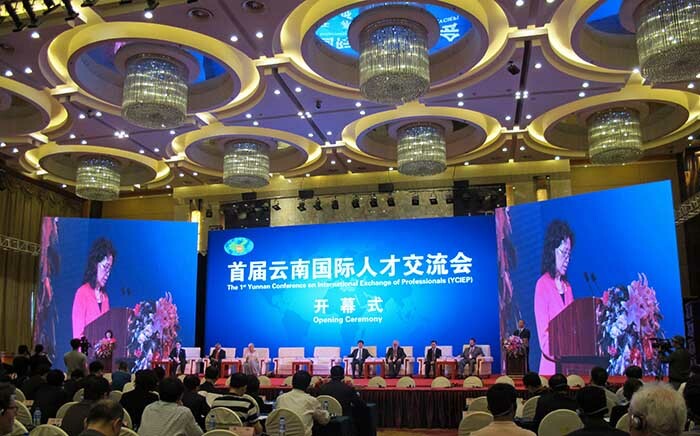 The official award ceremony took place in the 4th China-South Asia Expo, June 13-16, in Kunming at the 1st Yunnan conference on International Exchange of Professionals (YCIEP) themed “Galaxy of Talents, Striding of Yunnan”.